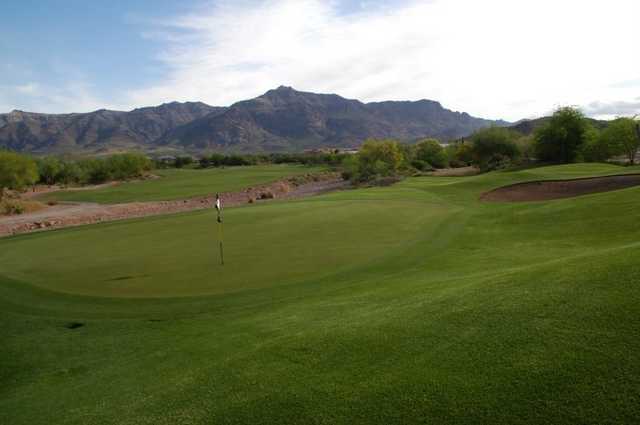 The Sidewinder course is the newest run at Gold Canyon and is worth a stop, especially if you’re planning to play its more acclaimed neighbor, Dinosaur Mountain. 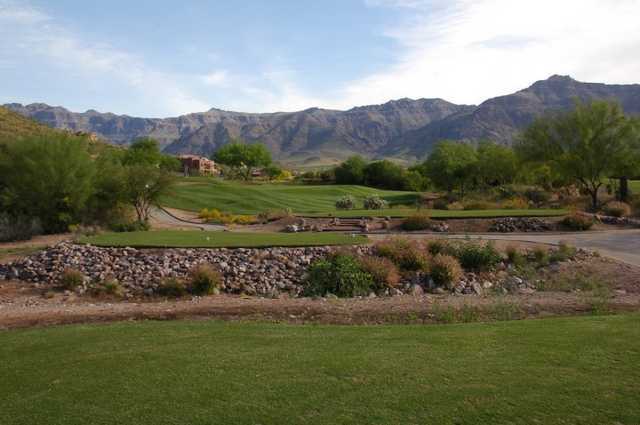 With some of the same scenery, Sidewinder offers a few more opportunities to score, with some very accessible par 3s and par 4s. Sidewinder has only two holes with water, but a handful with ravines. The Sidewinder course, opened in 1998, is the newer course at Gold Canyon, and often plays second fiddle to neighboring Dinosaur Mountain. But this collaboration between Ken Kavanaugh, Stuart Penge and Greg Nash is worth your time. 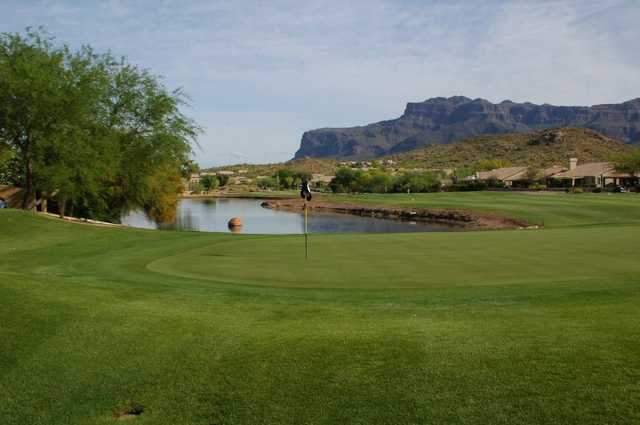 With some of the same wild scenery of the nearby Superstition Mountains, Sidewinder’s front nine snakes around the high terrain and gives golfers great views. There are plenty of opportunities for golfers to score here. The par-4 13th is only about 280 yards from the tips, making it drivable for average hitters. But then there’s the 424-yard par-5 15th, one of the tougher holes on the property, with an approach shot playing over water to an average-size green. 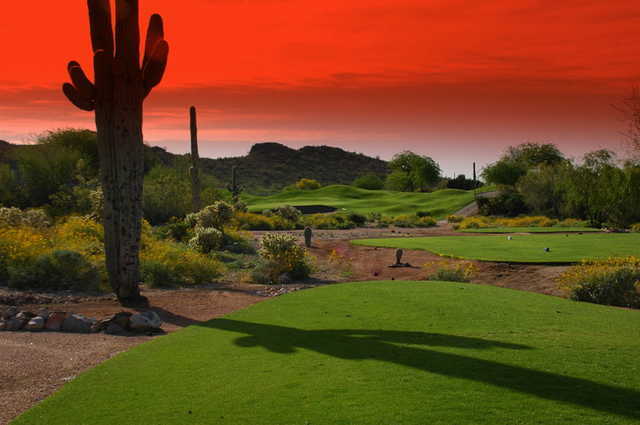 Sidewinder has only two holes with water, but a handful with ravines. Dress code: Collared shirt and bermuda shorts required. No denim.